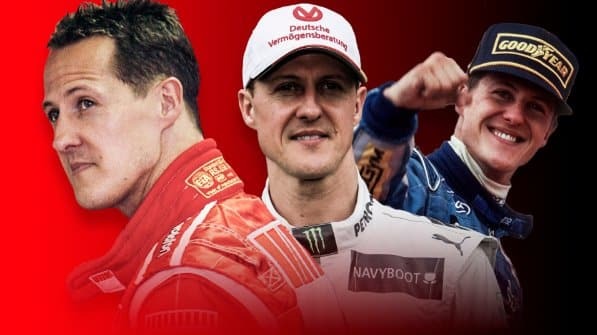 Formula One (F1) legend and record holder, Micheal Schumacher today celebrates his 50th birthday amid the mystery that surrounds his health, five years after the star sustained life threatening accident while skiing in French Alps. The progress of his recovery has been kept largely secret, at the request of his wife Corinna, but on the eve of his 50th birthday, they released an encouraging statement revealing they will be celebrating his milestone. In a statement, the family said: “We are very happy to celebrate Michael’s 50th birthday tomorrow (today) together with you and thank you from the bottom of our hearts that we can do this together. “As a gift to him, you and us, Keep Fighting Foundation has created a virtual museum. The Official Michael Schumacher App will be released tomorrow, so that we can review all together Michael’s successes. “Michael can be proud of what he has achieved, and so are we! That’s why we remember his successes with the Michael Schumacher Private Collection exhibition in Cologne, by publishing memories in social media and by continuing his charitable work through the Keep Fighting Foundation. “We want to remember and celebrate his victories, his records and his jubilation,” said the family. Schumacher is understood to be receiving treatment at the family home in Lake Geneva, Switzerland. The decision to keep so much of his health private has divided even those close to the star. His former manager Willi Weber said it was “unfortunate” his fans did not know about his health, but Ross Brawn, who has visited Schumacher, supports the family decision. Mr Brawn, who worked with Schumacher at Benetton and Ferrari, said: “Michael has always been a very private person and that’s been a guiding principle in his career, his life and his family always agreed with that choice.